We are happy to announce our next speaker. 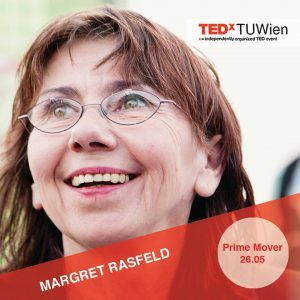 Margret Rasfeld´s desire is the courage for a cultural change. In this sense, she encourages schools to establish an appreciative relationship culture, trust and confidence in the competence of children, empowering them to become change makers. To support schools with this transformation, she founded the initiative “Schule im Aufbruch” and the association “Global Goals Curriculum 2030” and thereby, initiated a movement in Austria, Germany and Poland. We are thrilled to hear about her Prime Mover and her ideas. Stay tuned.